Y’all, moving after a decade is no darn joke. It’s so hard deciding which room, what stuff to tackle first. And then there’s the real life game of Tetris you have to play to stack all of the bins & boxes in the area you’re still living in so that you can A.) move around somewhat freely and B.) they don’t fall down on you in an avalanche of glittery death- in the case of craft bins. Yeah, so I had the bright idea to first pack our walk in closet and the first thing I knew I should jump on was my multitude of roughly ‘organized’ craft bins. If only there was actually some semblance of organization to them, beyond that they had drawers. What ended up happening was four very full trash bags and several dumpster runs, a living room that looked like the local craft store threw up in it, glitter everywhere, and 4 hours of my life gone. I did end up getting it all done, and my craft crap is all now successfully in one gigantic plastic bin and (honestly) roughly organized for once- thanks to a bunch of gallon ziplocking bags and some storage bins I bought at Costco. It also had the positive affect of spurring my husband to get his side of the closet in order this evening. So while our closet is about half cleared out, our living room is inundated with a craft bin and a mountain of other bins containing a range of things from food storage/disaster preparedness to camping gear and Winter accessories. Seriously. It’s my whole living room. So bin mountain aside, moving is hard. 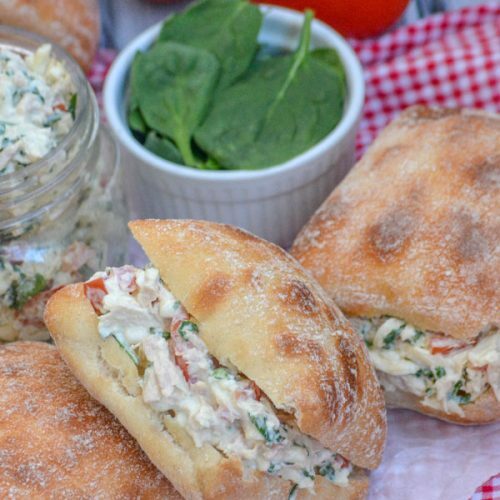 It’s also time consuming, which is where these uber yummy Spinach & Tomato Tuna Salad Sandwiches come into play. Even when I’m exhausted and on my way to bed, it takes mere minutes for me to whip up a batch and tuck it in the fridge. 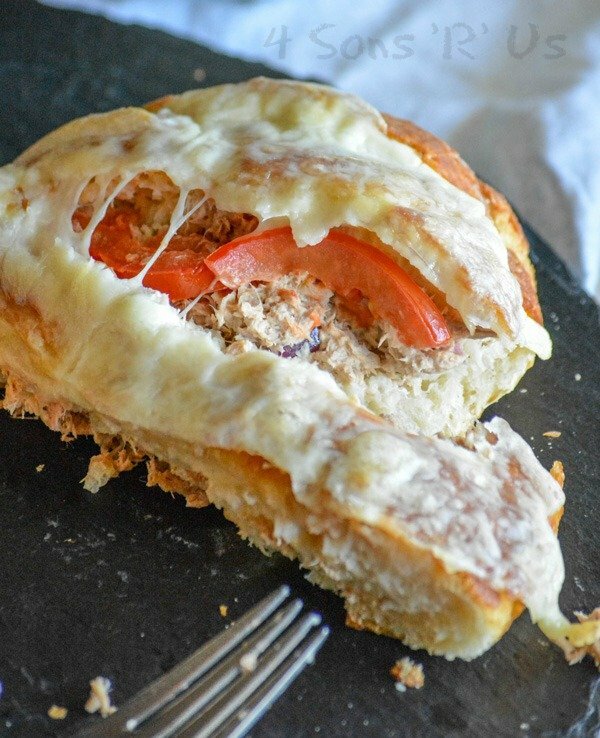 So when the Hubs gets up at some unholy hour it’s ready and waiting for him to make a sandwich to pack in his lunch. When it’s 2 hours past a normal person’s lunch time, and I’m ravenous what with all the strenuous packing, I can grab a few crackers and dig in to keep the hangry pains at bay. 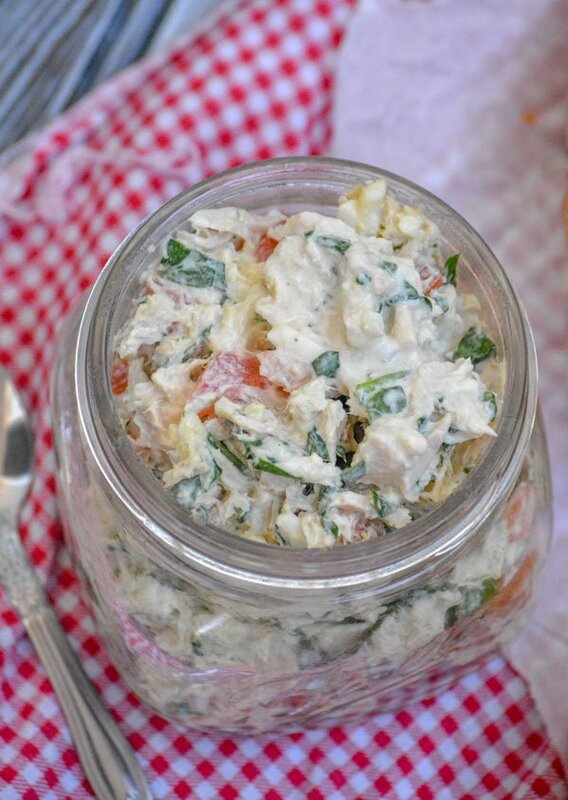 This healthier version of tuna salad is made up of flaked albacore tuna, chopped fresh baby spinach, diced tomatoes, and shredded mozzarella stirred into a creamy blend of Greek yogurt & lemon juice seasoned with salt and pepper. 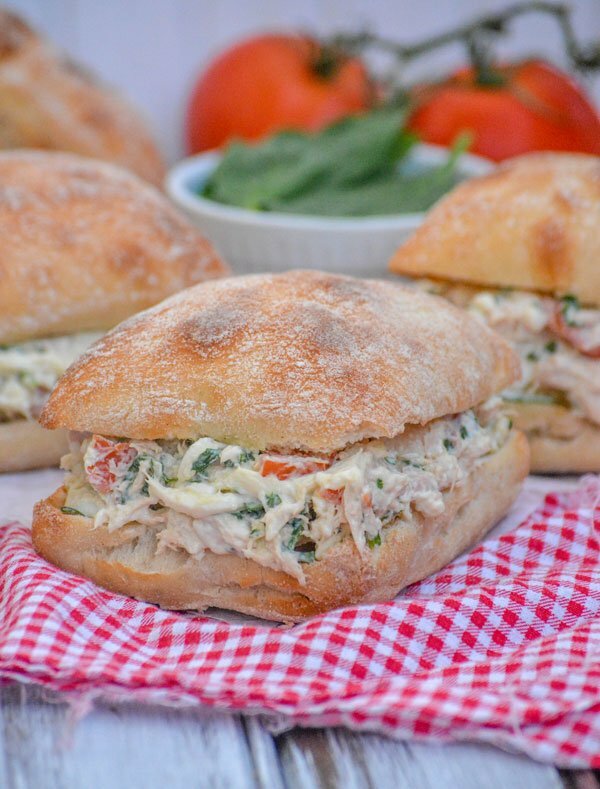 Served on fresh ciabatta buns, these Spinach & Tomato Tuna Salad Sandwiches are quick & easy comfort food, but on the healthier side that are perfect for lunch or dinner. They’re there for you, in a pinch, even when life’s throwing everything else at ya. 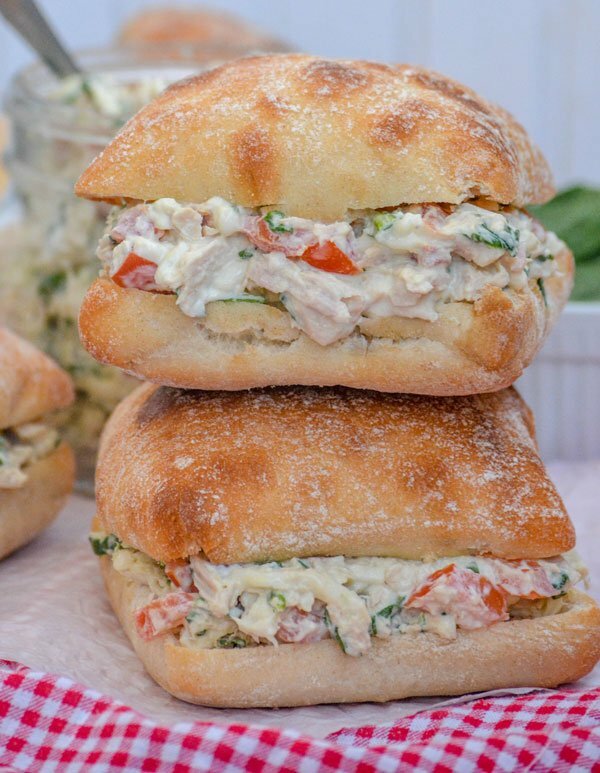 A quick & easy, healthier tuna salad is piled high on fresh ciabatta buns for a yummy lunch or dinner sandwich. 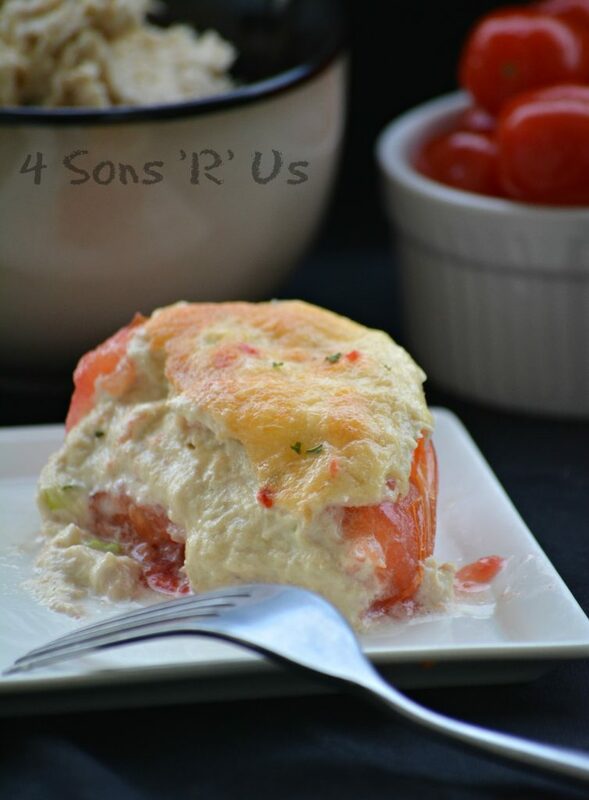 In a small bowl, whisk together the yogurt and lemon juice until smooth. 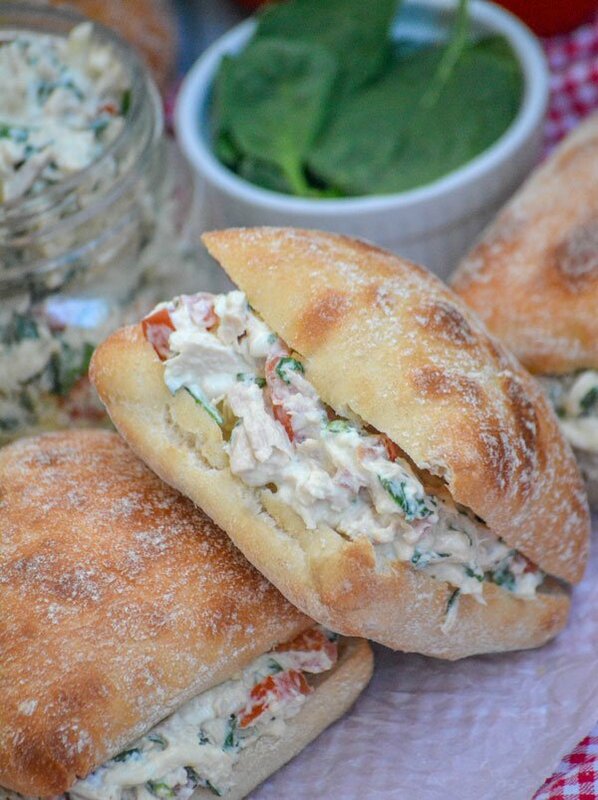 To a large mixing bowl, add the tuna, spinach, cheese, & tomatoes. Gently stir, just until evenly mixed. Add the yogurt mixture, again stirring until evenly combined. Season the mixture with salt & pepper, to taste. 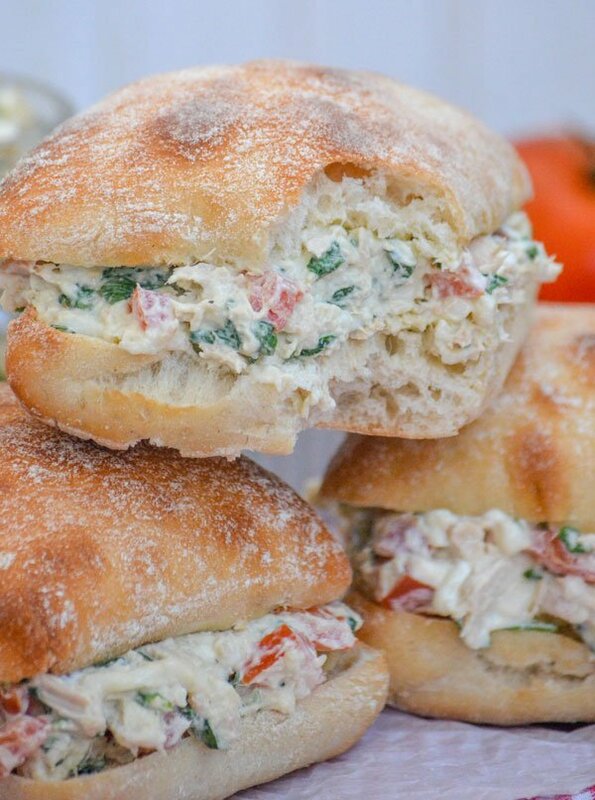 Serve on freshly sliced ciabatta buns, or if looking for a lower carb option- with lettuce as a wrap, or even enjoy it on top of crackers. 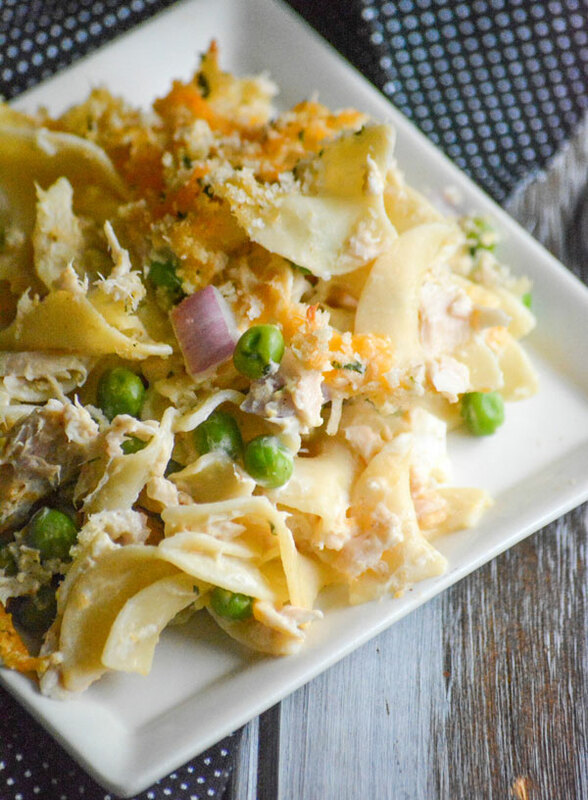 Tuna Noodle Casserole- Served Hot or Cold!